The 31st Annual Art Exhibition and Awards will be presented from Saturday to Sunday 27-28 October 2018 from 10am to 4pm. 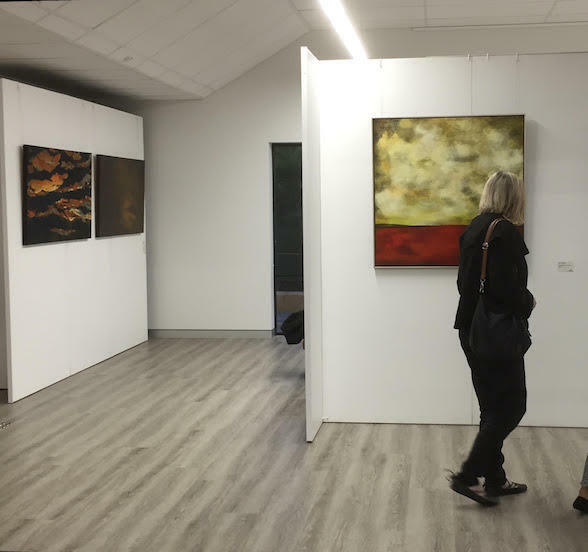 This year's Annual Exhibition will be held at the new Greendale Centre, 20 Coombe Avenue, Armadale (corner of Hobbs Drive). The Greendale Centre is located in the grounds of the Dale Cottages and is a spacious modern building with an inviting Reception and spacious Function Room for such an Event. The recent Minnawarra Awards were held in the same space. 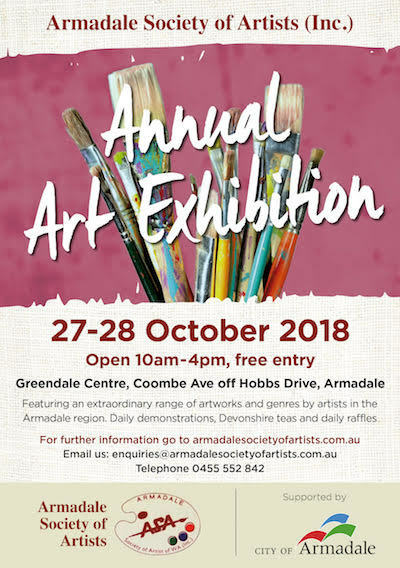 This Event showcases the collective works of Armadale Society of Artists (Inc.) members who reside in the Armadale Hills Region. This Exhibition is held annually for the past 31 years and each year the Society endeavours to highlight the talent and diverse range of Artists we have in our local area. 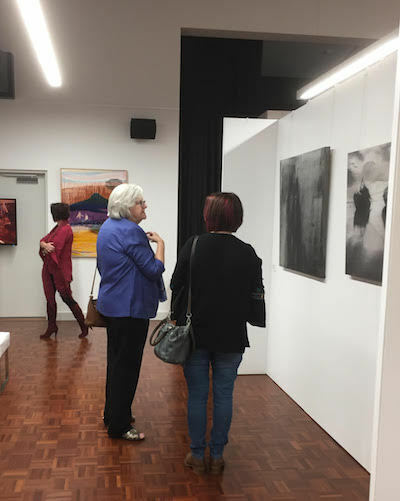 Photo of Armadale Society of Artists Members at a special sneak preview of the Minnawarra Exhibition held at the Greendale Centre in May 2018. This year's the Exhibition offers their Artists the chance to have their work recognised and win a Trophy of Excellence for the best overall 2018 painting. With the increase in Memberships this year, there are many new talented artists exhibiting for the first time. This event is Free Entry '"We love that the visitors buy our Program for $5, which raises funds for the Art Society and they get a miniature original painting" said ASA President Trish Halloran. Featuring over the weekend Daily demonstrations, Devonshire teas and a Daily raffle for an Original Painting donated by our Artists.